There are a handful of scripts I use on a regular basis. Adam Mechanic’s (b/t) sp_WhoIsActive, My sp_DBPermissions and sp_SrvPermissions, my script for finding where backups are taken, Paul Brewer’s sp_RestoreGene to name a few. It gets tiresome at best to constantly be looking them up and copying the script over into a query window for me to use. 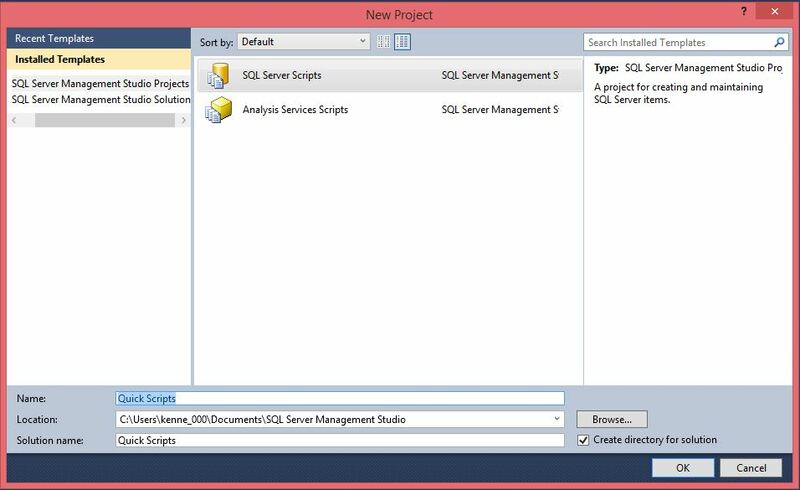 In order to make my life easier I decided to start using a feature of SSMS (SQL Server Management Studio) that I’d heard of but never bothered to use before. 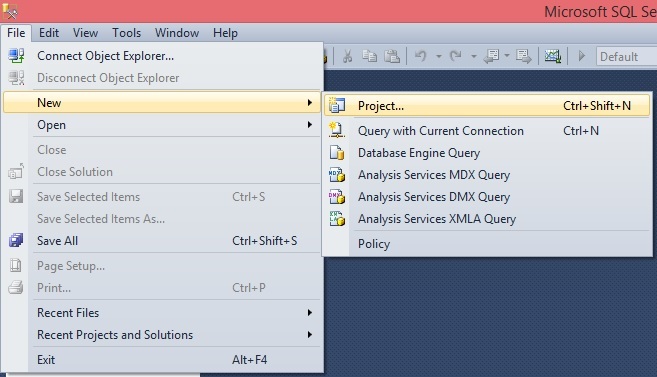 SSMS has solutions just like Visual Studio. In this case I’m just using it a repository for frequently used scripts. Once I open my solution I have easy access to all of the scripts I most commonly use. And if I find a new one I need on a regular basis, say Kendra Little’s (b/t) sp_blitzindex, it’s easy enough to add. 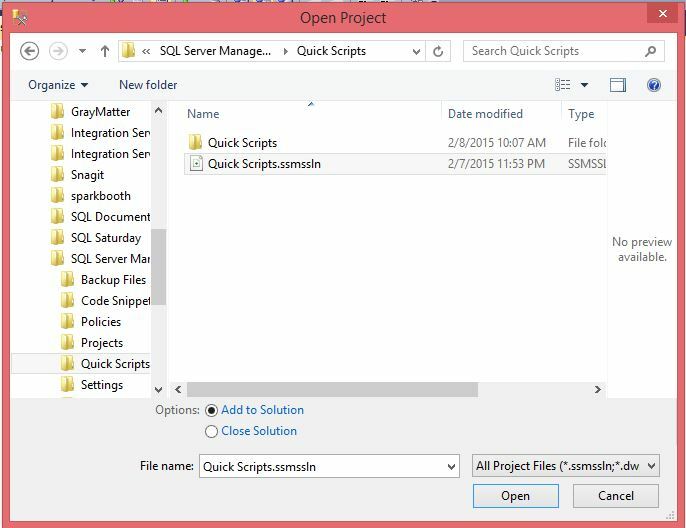 To set up a solution in SSMS start by creating a new project. I now have a blank solution. 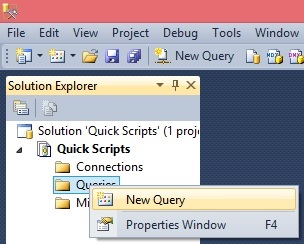 I add new queries to the Queries section, rename them (right click, select rename), add the script I want and save. And now I have a list of commonly used scripts. I should warn you that when you open SSMS and start working it creates a blank solution that get’s filled with any open query windows under Miscellaneous Files. If you decide to open your Quick Scripts solution later in the day (let’s say you now have a dozen scripts open) then you need to be careful. The default option is to close your current solution, and that is going to close all of your currently open scripts. If you select the Add to Solution option then it will open the new solution along side your current Miscellaneous solution. Now all you need to do to open up one of your scripts is double-click it in your solution. Handy right? « Who’s using that database? Excellent post. I use solutions all the time for my various scripts, broken down into sub projects. I find it very helpful. Thank you for your work. 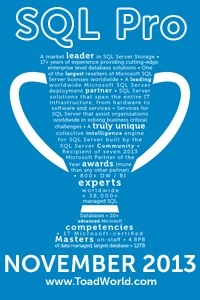 Are you using 2012 version of ssms? In 2014 I am not seeing “Add to Solution” option. So my existing open queries are being closed every time I open frequently used script project. Any suggestion, am I missing something? 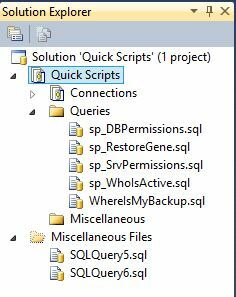 I have figured out you can add an existing .sql file to a project using “Add as Link” to prevent a copy being made into the project folder. But can this be done somehow via a Drag-and-Drop from the Miscellaneuos Files folder? 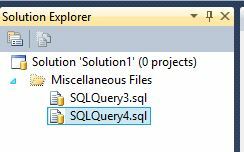 Eg, If you were to drag-and-drop SQLQuery5.sql from Miscellaneuos Files in your example, it copies it into the project folder. Is there a way to preserve the original file location? I tried Ctrl-Shift but that doesnt work. I honestly have no idea I’m afraid. If I run across anything I’ll let you know. Snippets are also handy but I still like projects. For one thing I find it easier to copy them from place to place and organiz them. In the end though it’s all about what’s comfortable for you.